Homes for Heroes is the largest nationwide network of affiliate real estate, mortgage and local business specialists committed to providing easy ways for heroes to save on a home. The organization was established shortly after 9/11 to give back to firefighters, EMS, law enforcement, military (active, reserves & veterans), healthcare professionals and teachers. Team Inlanta has a network of Homes for Heroes mortgage professionals that are supporting its mission to help our heroes achieve the dream of homeownership. To find an Inlanta Homes for Heroes lender in your area, contact us today. 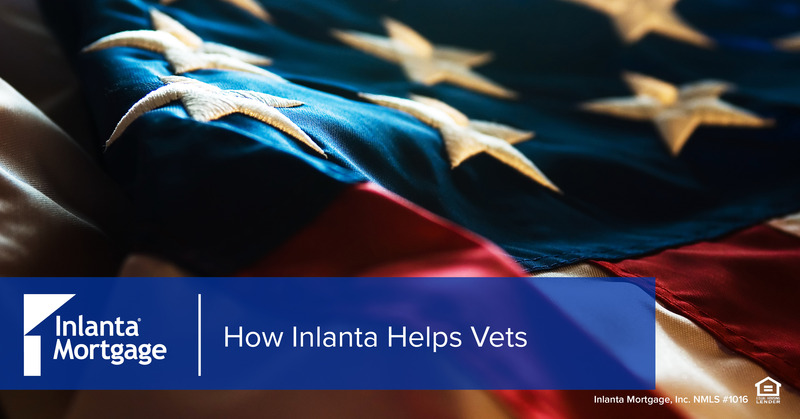 We’re honored to have military veterans on our Inlanta team who personally understand the sacrifice and selflessness of our vets and active military personnel. They are thrilled to have the opportunity to help their fellow veterans achieve the dream of homeownership and are prepared to help those who have served and their families obtain a mortgage loan. Contact us today if you’d like to find a veteran lender in your area. Happy Veterans Day to all those who have served for our country and for our freedom! This entry was posted in VA Mortgage Loans and tagged loan programs, mortgage, VA, VA Mortgage by Inlanta Marketing. Bookmark the permalink.